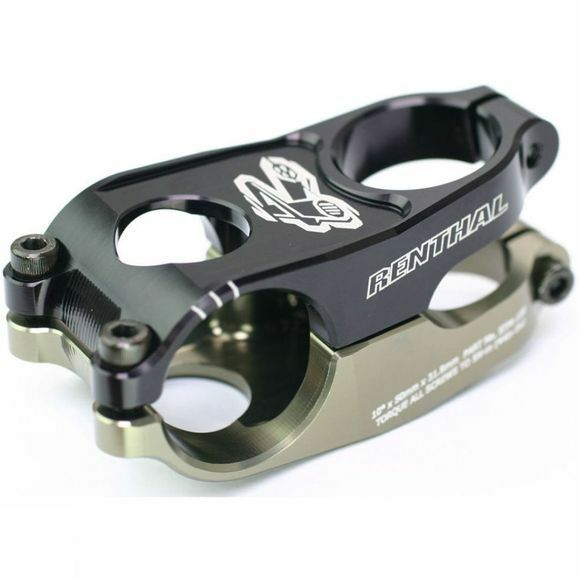 Renthal's revolutionary Duoâ„¢ stem combines high strength with ultra low weight. The stem is horizontally divided, allowing it to be machined in two pieces. This method gives unrestricted access to the stem core, enabling weight to be reduced to the absolute minimum, without compromising strength. The Renthal Duoâ„¢ stem is designed to let you ride faster, jump further and last longer.